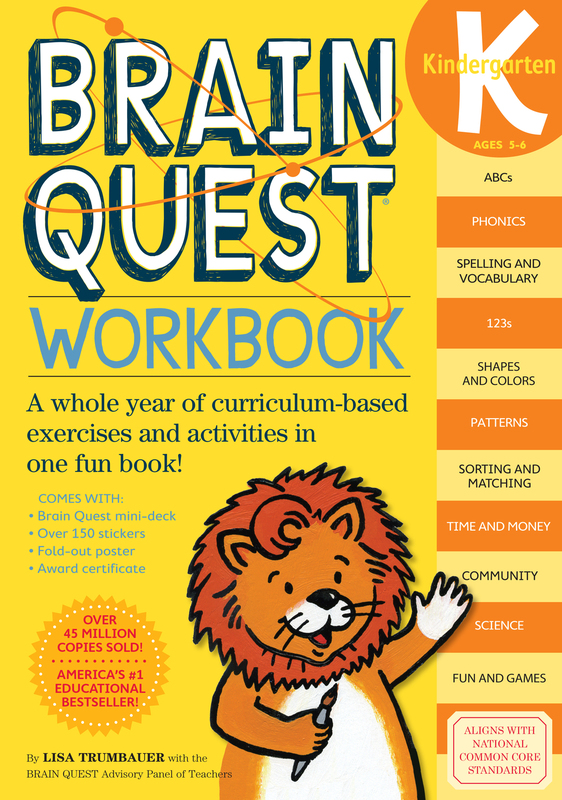 Jam-packed with hundreds of curriculum-based activities, exercises and games in every subject, Brain Quest Kindergarten Workbook reinforces what kids are learning in the classroom. 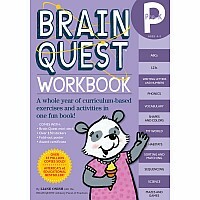 The workbook's lively layout and easy-to-follow explanations make learning fun, interactive, and concrete. 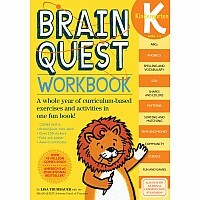 Plus it's written to help parents follow and explain key concepts. 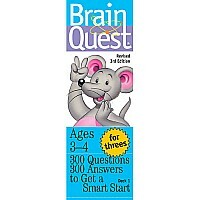 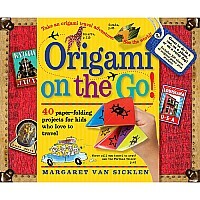 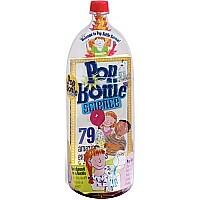 Includes ABC's, 123s, mazes, paint by letters," sorting games, phonics, shapes and colors, money, telling time, and much, much more.